A wall, as it appears in front, leaves us a certain possibility toward the opposite side. “Vide” means empty. In a never connecting scenery of “this side” and the “other side”, it is only imaginary figure of yourself who can stay in such position. A tetrahedron of half way through mirrors. 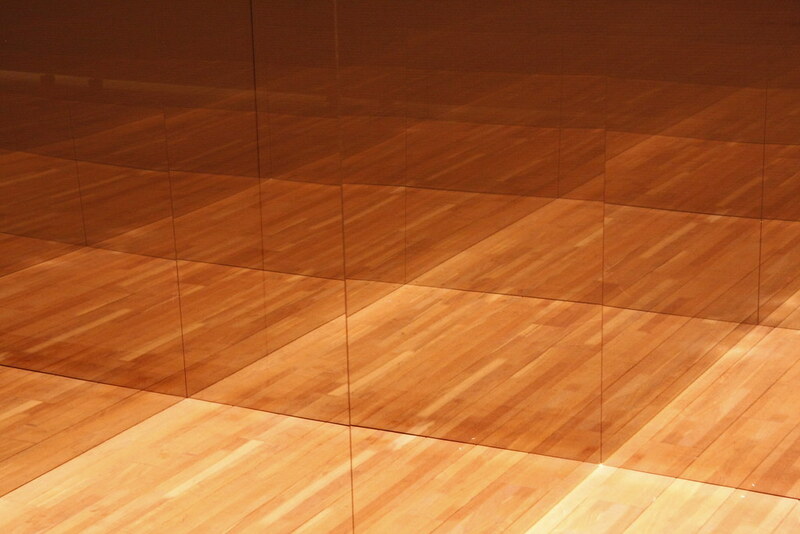 Only the floor is lightened in the space surrounded by mirrors. 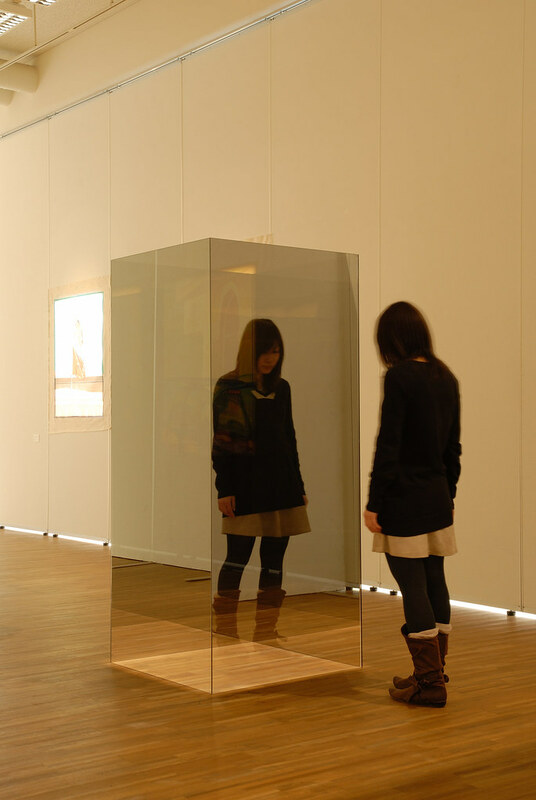 The image of the floor is spreading out infinitely as mirrors being held against each other, while the image of the viewers' legs is being transparent. The image of yourself with legless body, like a ghost, is floating in the infinite space.